In this article and video I will provide an overview of the all-new CHAPTER2 RERE. 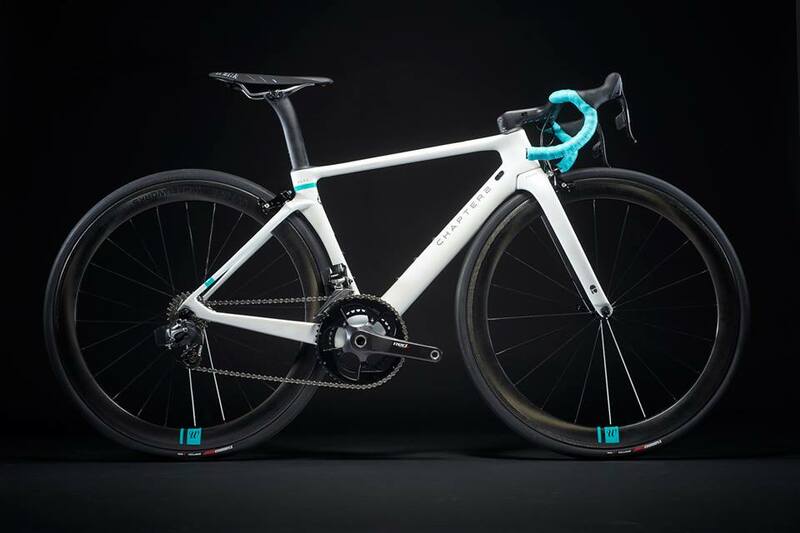 The RERE – which means “flow” in the indigenous language of New Zealand (Maori) – is a fully fledged aerodynamic race bike. Or should I say race frame. Built with a blend of high modulus ‘Toray’ carbon, and a claimed frame weight of 998g (in a medium), there is a lot to like from this next-edition frame from CHAPTER2. Before we go into the technicalities of the RERE, let me paint a little picture for you. I was standing in Berwick Cycles here in Melbourne late last year. On their non-Specialized wall showcased a brand I’d never seen before. “What’s this”, I said to Kris, Store Owner. 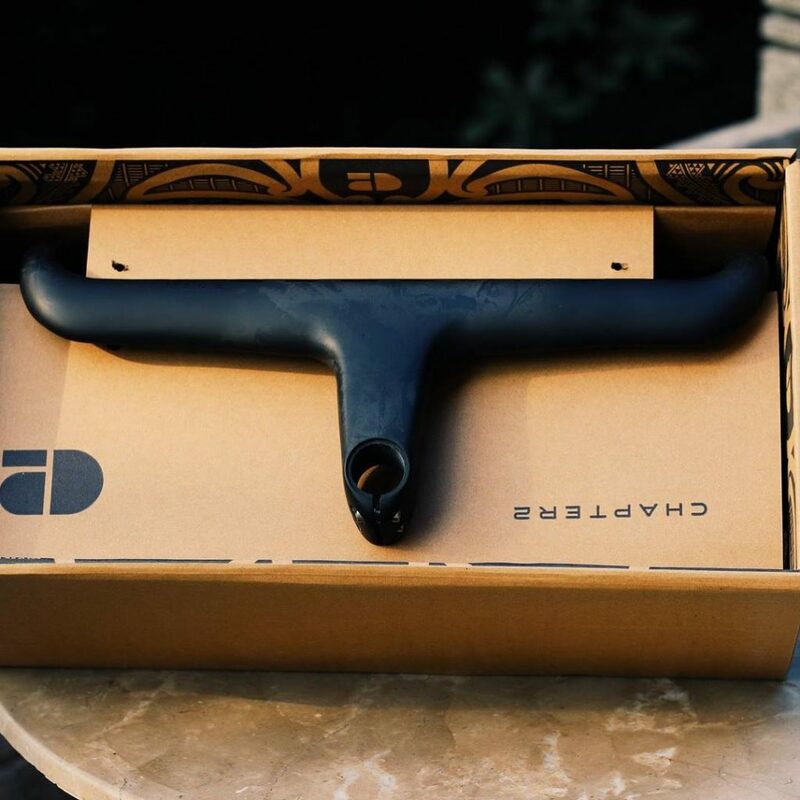 It’s a new brand out of New Zealand called CHAPTER2. They launched this all-round road frame called the TERE mid 2017, and the founder of the business is Mike Pryde. Mike was previously at the Pryde Group – one of the world’s biggest players in the marine and adventure sports markets – where he ran the Neil Pryde Bikes Division. He’s set up this new brand called CHAPTER2 only earlier this year. Kris goes on to tell me about the Pryde Group and their elite quality manufacturing and distribution process in the fields of yacht sails, windsurfing, and various other water sport equipment; in addition to bikes. 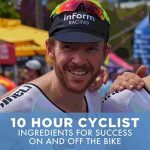 With 12 years of experience at the Neil Pryde Group, it seemed clear from my conversation with Kris that Mike and his new company would know a thing or two about road bikes. Hands in the air, I am yet to ride a CHAPTER2. But I am desperately eager. With positive feedback coming from a very well respected local Melbournite – Jae O’Mara (Owner of Omara Cycles) – and an array of compelling feedback from Omara Cycles customers I spoke with at the RERE launch night on the Saturday that’s just been, it’s fair to say CHAPTER2 are carving out some of the local Aussie market and creating a cult following. CHAPTER2 are rolling with the times, not provoking customers with ‘stock’ models, but empowering customers to build their own bike. Something that aligns to an individuals palate and riding style. As much as they’re focused on performance they’re also focused on design and aesthetics, launching new look and feels every 6 months or so. You’ll also see many limited-edition frames that blend into their operating rhythm. While their frames are manufactured in China, they source their high quality ‘Toray’ carbon from Japan, and their design and performance testing is all facilitated in New Zealand, including wind tunnel testing at Auckland University. They have a narrow focus on road. Looking at their range they now have have two bikes – the TERE and the RERE – so their focus and energy isn’t being divided between mountain, hybrid, eBikes etc. It’s a passion purely for road, and that is certainly coming through. In addition to these point that I’ve observed, I’ve also seen first hand how Mike Pryde engages with the local community. He loves road cycling and he is addicted to the cycling lifestyle. While appearing in Melbourne for the evening launch of the CHAPTER2 RERE, Mike was up early on Saturday morning too – hitting up the Omara Cycles shop ride – connecting with all the locals that ride his CHAPTER2 bikes, and learning about how we roll here on Beach Rd. The ‘TERE’ was the first road frame from CHAPTER2. While it certainly has aero in mind, this model is considered to to more of an ‘all-rounder’. CHAPTER2’s first addition was the TERE, an all-round road bike. Consider it to be in the same conversation as a Specialized Tarmac or Trek Emonda. The RERE is their new aerodynamic race bike. Consider it to be in the same conversation as a Specialized Venge or Trek Madone. A medium frame in the RERE cracks the 1 kg mark, coming in a 998 grams. That’s considered to be light for an aero frame. The uncut fork weighs in at roughly 400 grams. While there’s no doubt the RERE has been built from top-to-toe with aerodynamic moulds in mind, it’s also been designed so ride quality isn’t forfited. What that means is a well-balanced geometry, with certain aspects to the bike. 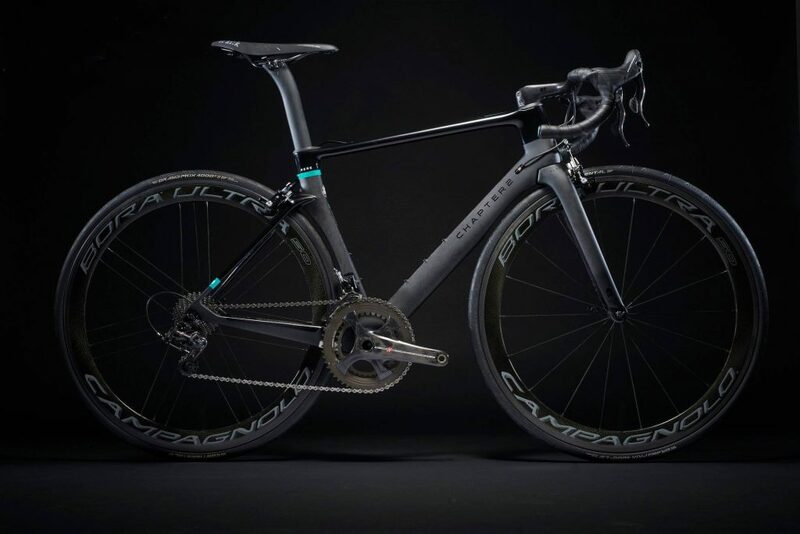 Examples include “kinked” chainstays and directional high tensile carbon in the bottom bracket that dampens road vibrations and harshness that can commonly make aerodynamic bikes a fatiguing proposition. 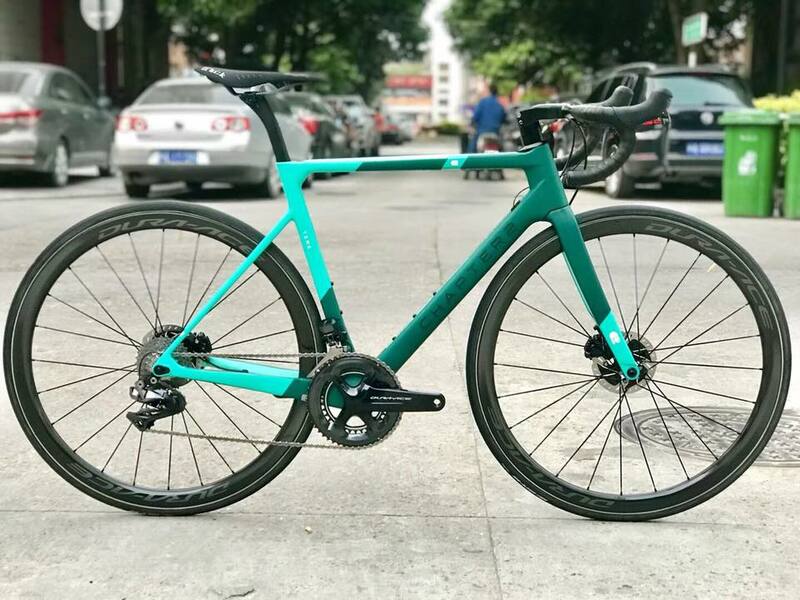 Uniquely, the RERE frame uses a proprietary reversible aero seatpost, giving riders a full range of saddle offset positions. This can also transform the bike into a time trail rig for those who dabble in triathlons or road cycling stage races with a TT requirement. 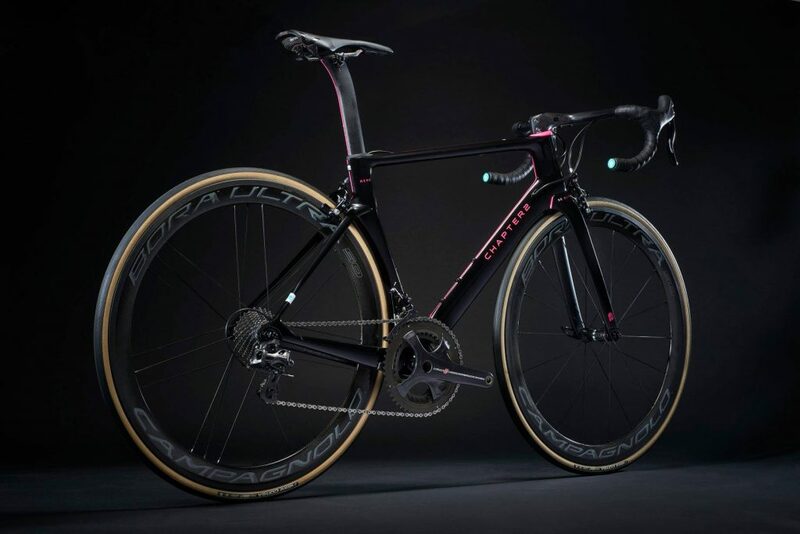 Lastly, the RERE frame features modular internal cable routing and is optimised for electronic shift drivetrains (including internal battery), and has direct mount brakes placed on the ‘kinked’ seatstays, allowing 28mm tyre clearance. The RERE is currently available in Perl (pictured as the main image above), a Matt & Gloss Back (pictured) and a special Giro addition (pictured below) CHAPTER2 currently have running, which is black with a touch on pink. Is an integrated cockpit area and once again has aero in mind. 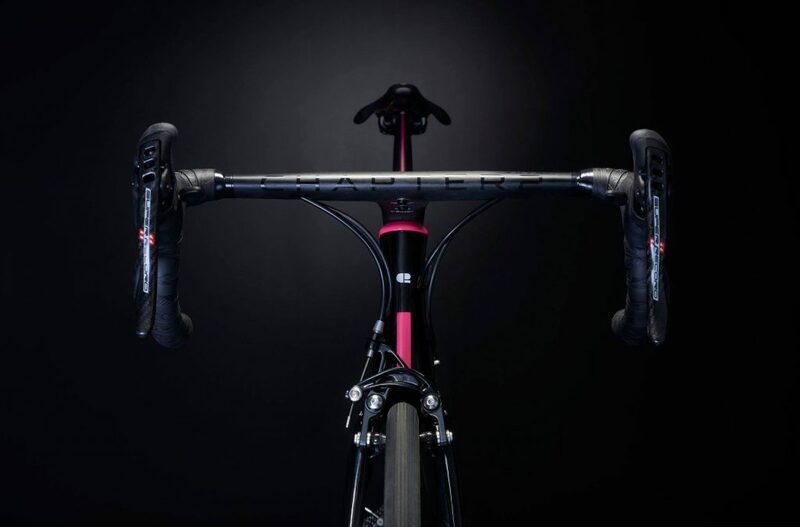 This handlebar and stem is optimised to slice through the wind and is ultimately designed to complement the new RERE. The Mana handlebar system from CHAPTER2. Word on the street is that a CHAPTER2 unboxing rivals an Apple product unboxing. Consider this article to be part one of a two part series.